Keith is a professional DJ-MC-Event Director and an incredibly talented drummer. Keith is known and respected for custom-tailoring his music programming and wedding timeline which is based on each client's personality. He is skilled at creating a seamless flow featuring crystal clear sound and a down-to-earth personality, whether you would like audience interaction or a more laid-back approach Keith has you covered! "Keith not only listened carefully to every detail of what we wanted, but incorporated it all so seamlessly, that we almost forgot we asked for it all; it just seemed so naturally perfect. If you choose Keith as your DJ, you can sit back, relax and enjoy your receiption - he's got it taken care of!" "Keith was fantastic! Great attitude, would absolutely use him again! Keith earned a B.A in Music from Florida State University in 2003 where he studied with Gary Werdeshiem, John R. Beck, Leon Anderson, Brian Gaber and others. His focus was in classical percussion and commercial music (engineering, composition, business). 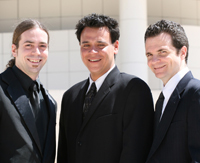 During his college years, Keith played with many original bands, cover bands, church and school ensembles. In the spring of 2002 he joined the funk/rock group "Glass". Keith played with "Glass" for almost three years, playing over 250 shows in four states. He also spent much of his free time interning at P-Funk's originator: George Clinton's studio in Tallahassee, learning pro tools from head engineer Gary Wright. 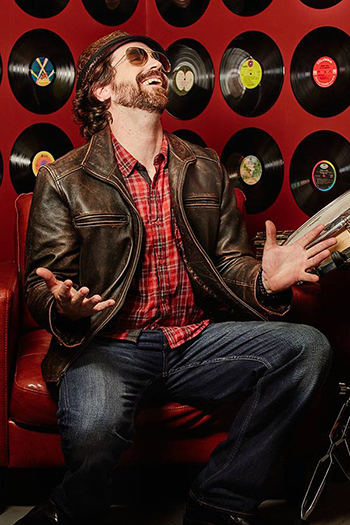 Keith currently plays drums for two rock bands and has a jazz trio that you may add to any DJ package, Keith gives private lessons to students of all ages and offers drum set, marching, and classical percussion clinics to various high schools across the nation. Keith is also available to produce demos for singer/songwriters out of his home studio in North Hollywood. During Keith’s time in Florida he often worked as a music coordinator and promoter for various clubs. He would often DJ between bands at clubs and emcee special events. He is a professional and takes pride in making every event as special and unique as possible. Keith is known for his ability to keep a party or reception organized and still manages to keep the dance floor packed. Ask about Jazz, MC and DJ combo packages with Keith! "We can't think of anything we wish Keith would've done differently. Perfect!" 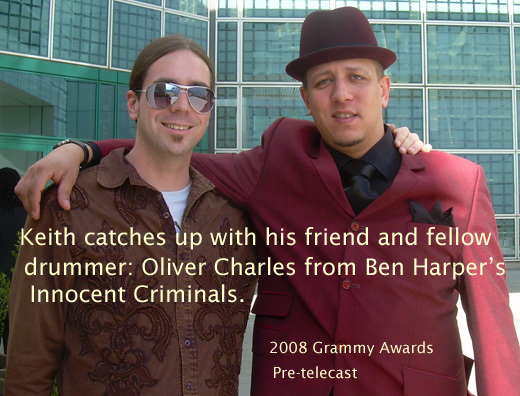 Check out Ben Harper and The Innocent Criminals website. © 2003 - 2017 Awesome Entertainment, Inc. All rights reserved.